A few years ago, a young military spouse facing several challenges reached out for help. In her search for resources, she called Elva Resa Publishing, a small publisher that specializes in books for military families. Publisher Karen Pavlicin-Fragnito answered the phone. Karen was still thinking about that young spouse and gathering together with friends when she received an invitation to attend a military spouse summit sponsored by Military.com in April 2013. 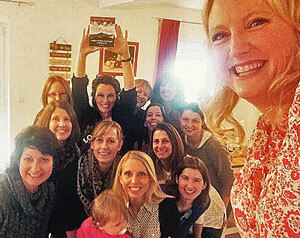 She flew to Virginia from Minnesota to meet with other spouses and share an idea. She spent two days gathered around tables listening to military spouses share stories and lessons learned from around the world. At lunch she approached Terri Barnes, a longtime Stars and Stripes columnist and wife of an Air Force chaplain. Karen and Terri knew each other’s work, but had not met in person before that luncheon. They formed an immediate connection as they shared their own stories—about deployments, 9/11, children, how they got involved with supporting fellow military families, writing projects. When Karen shared her idea to bring together many military family members around a virtual table, “lunch in a book” she called it, Terri not only agreed to write a story, she took on the role of editor. Together they invited military family members from all service branches—service members, spouses, children, parents—to share personal stories to help other military families. 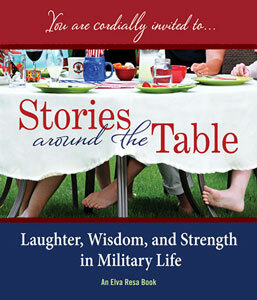 More than forty military family writers responded by sharing encouraging and inspiring stories and wisdom from both everyday and extraordinary moments of their personal lives. The result is a book about life—friendship, romance, depression, parenting, careers, finances, infertility, education, children with special needs, faith, grief—amidst the added challenges of military life—frequent moves, deployment, reunion, overseas assignments, combat injury, post-traumatic stress. “Each author wrote a story about an issue that was personal to him or her,” says Terri. Bringing the authors together and encouraging them to find their personal voice made the writers and their experiences especially real to Terri. The team had fun with the creation process. The table of contents is a “Menu” with sections such as “A Moveable Feast” for stories of transition, “Bread of Sorrows” about grief, “A Piece of (Wedding) Cake” for topics of romance and military marriage, and “Check, Please” for careers and finance. The design is akin to a beautiful gift book. 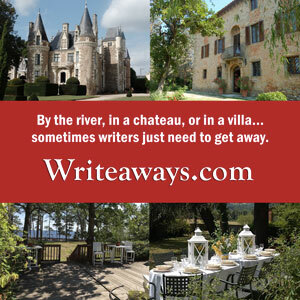 For many of the authors, the opportunity to work together and to meet each other in person has been a dream come true. Sixteen of the coauthors were able to attend a dinner at the National Press Club in Washington, DC, to celebrate the launch of the book. 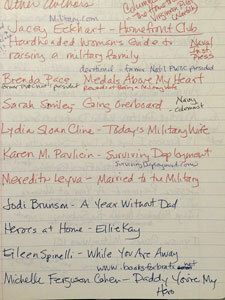 Many of them brought dog-eared books to be signed by the other authors (many meeting in person for the first time), books that had helped them through their first days as military spouses and first deployments. Since the launch, the coauthors have gotten to know each other through a closed Facebook group, encouraging each other and serving as resources for individual projects. They are active in their communities, leading nonprofit organizations, launching magazines, and advocating for military families in a variety of platforms. Her coauthors believe that too and are bringing the book and the experience of sharing stories around the world. Over the course of a few months, Stacy gradually got to know other women nearby and quietly asked them for their contact information so she could invite them to coffee. Fourteen new friends accepted. Many coauthors are bringing the book into both military family programs and their civilian communities. 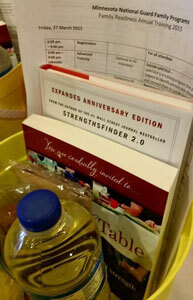 Large corporations are sponsoring community events with a Stories Around the Table theme. Some of the key themes include “transitioning veterans–corporate and military culture” (with business leaders, hiring managers, military service members, and spouses around the table), “military family health–stress, change, PTSD, suicide” (with healthcare professionals, counselors, religious leaders, social workers, and military families), and “military-connected students–preschool, grade school, teens” (with teachers, school administrators, coaches, day care providers, and military-connected kids and parents). Karen led a Stories Experience sponsored by the Minnesota National Guard Family Programs as part of its Family Readiness Annual Training. Participants received a copy of Stories Around the Table and discussed using storytelling as an effective soft quality of leadership. While many of the Stories coauthors are professional paid speakers and published authors of other works, none of them receive a royalty from Stories Around the Table. 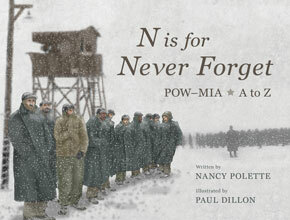 From the project’s inception, the authors all agreed to forgo a royalty so proceeds could instead be shared with a nonprofit that serves military families. The group selected Operation Homefront as its primary nonprofit beneficiary. Stories Around the Table is a finalist for Foreword Review’s Indie Fab Book of the Year and a finalist for the Midwest Book Awards Best Anthology. Photos courtesy of Terri Barnes and Stacy Huisman. Feature photo: Stacy Huisman’s fabulous Stories table at her coffee with new friends. The Books Make a Difference team loves to discover and write about how books are making a difference in the world. We also love to participate in making a difference! 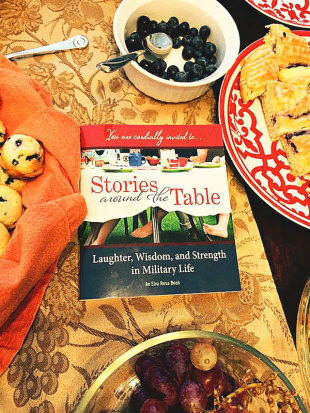 We are honored to be coauthors and supporters of Stories Around the Table.